Coins minted by Portuguese merchants and colonists of Goah, India. 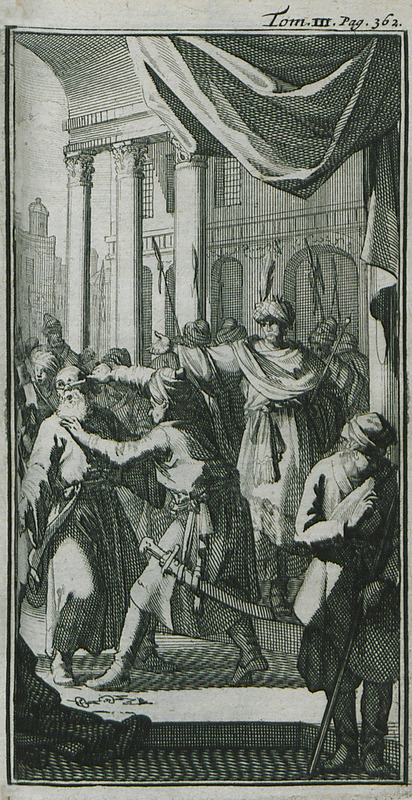 A prisoner is executed by torture on the orders of Shah Abbas in Persia. On the right, a Portuguese merchant turns his head away from the horrendous sight. 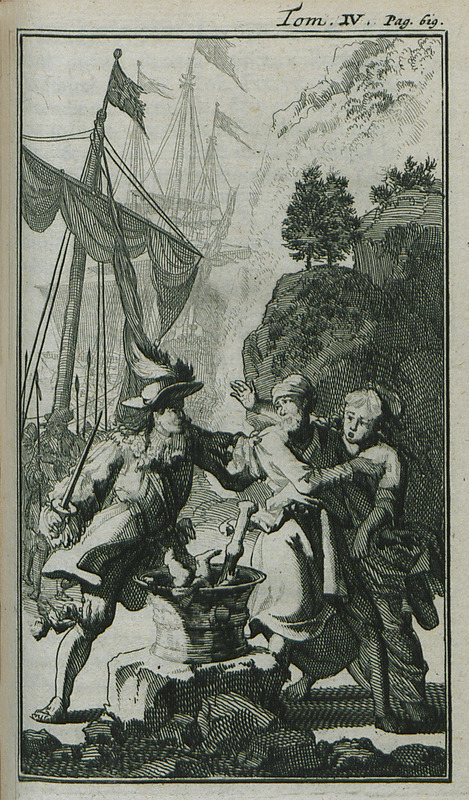 Ruy Freire de Andrade, 17th-century Portuguese naval commander and colonist, throws into a boiling cauldron the new-born baby of a family native to the Persian gulf islands.